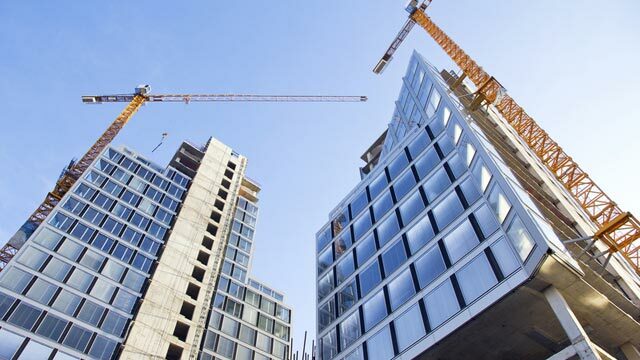 The value of residential building permits issued in April was $4.5 billion, a 2.5 per cent drop from March and the third consecutive month of decline. Statistic Canada says that there was a 5.6 per cent gain for multi-family intentions to just under $2.0 with 7 provinces showing higher numbers, led by British Columbia. However, this rise was erased by an 8.1 per cent slump for single-family permits which totaled $2.5 billion. Five provinces recorded declines, led by Ontario, largely the Toronto CMA. There were 16,701 new dwellings approved in April, down 0.7 per cent from March. Overall permits issued totalled $7.1 billion as the non-residential sector gained 4.1 per cent to $2.6 billion.